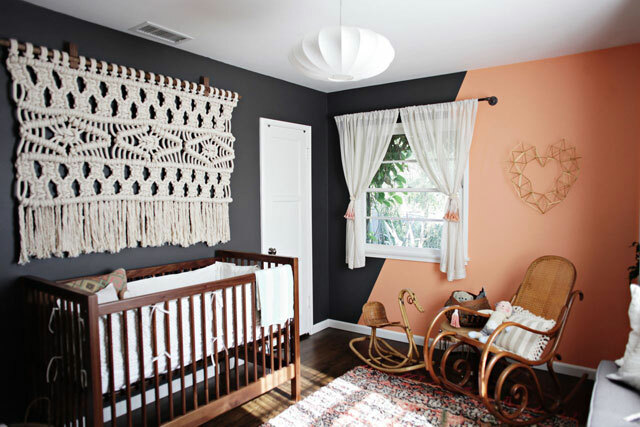 There is a HUGE resurgence in the once popular textile-making craft known as macrame. Macrame is the art of knotting string or cords in patterns to make decorative items (wall hangings, hanging plant holders, etc.). It is a form of textile making that requires knotting instead of weaving or knitting. 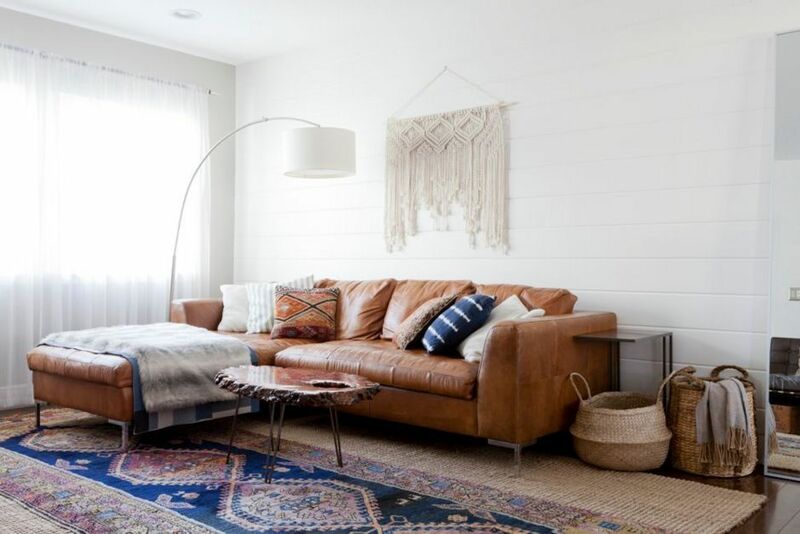 It has become widely used as "wall art" as of late... likely due to the fact that it fits right at home with the on trend bohemian aesthetic in interiors right now. 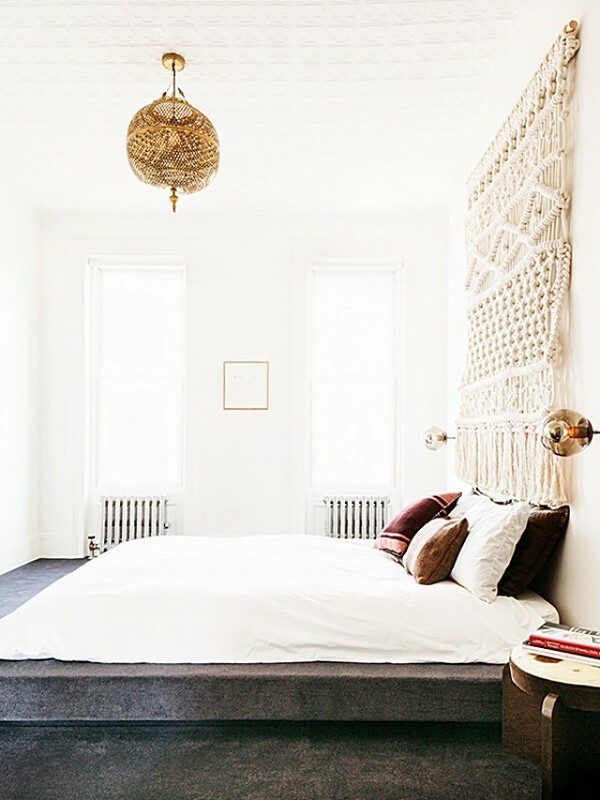 I personally love the dimension and texture that macrame pieces inject into a space. Crocheting has always been relaxing to me (although I rarely do it now), but macrame is an intriguing craft that I may give a try one day! Are you a fan?! awww very cool ideas! Thanks! 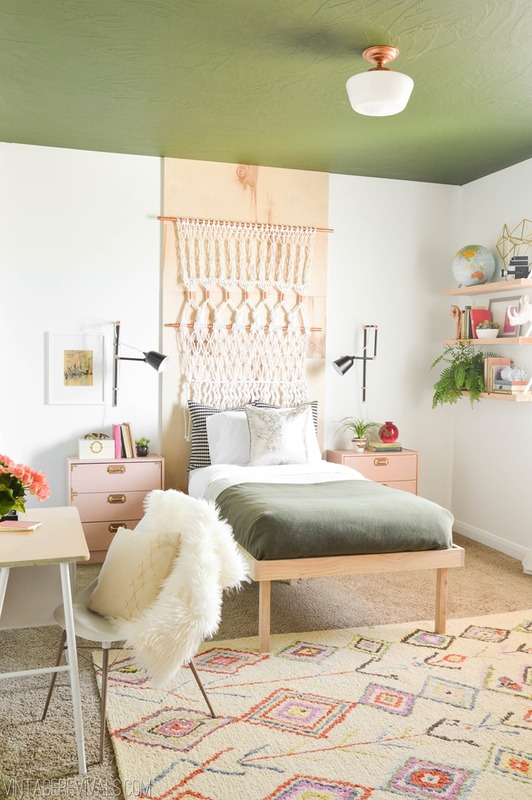 I really like how the macrame serves as the "headboard" in the first inspiration photo. So pretty!